Through brand collaboration, reach anonymous site visitors with triggered emails for a personal, 1:1 marketing experience—leveraging a privacy & safety compliant process. Marketers are unable to send email to customers that have not provided their email previously. This means more than 95% of your web visitors cannot receive a relevant email from you. 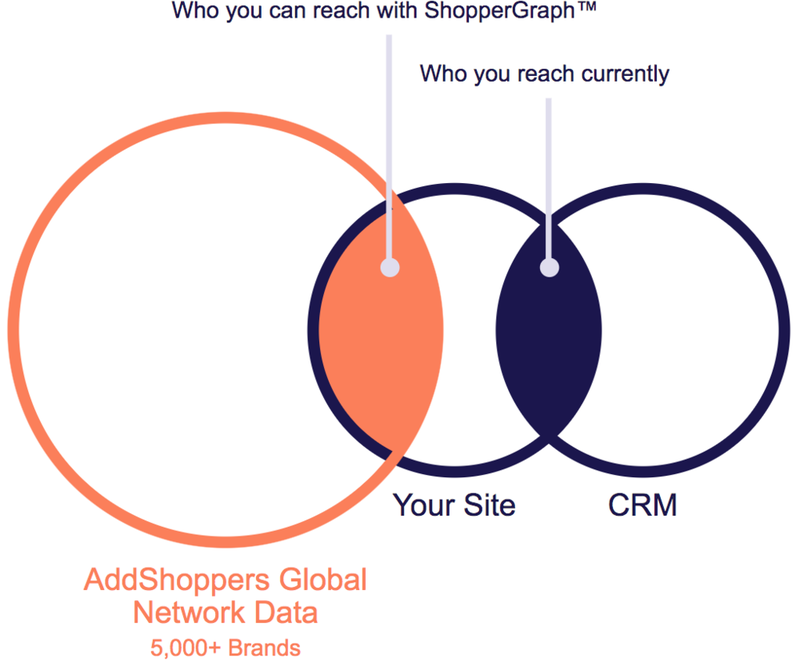 Connecting the AddShoppers network of 150M+ shoppers through its Email Retargeting® Co-op, marketers are able to resolve identities and deliver 1:1 email regardless of customer email acquisition. Today, if 100 customers visited your website — between your ESP, CRM, and other platforms — you might be able to send a browse abandon or cart abandon email to 4-5 of those site visitors. What about the other 95 visitors? Without AddShoppers your only option is retargeting ads, which continue to get more and more expensive. With AddShoppers, our system will attempt to match the 95 visitors in real-time against our network of 150M+ monthly profiles and 5,000+ websites. If the visitor leaves your site without signing up for email or buying AND we find a match, AddShoppers will enable a triggered email sequence to help you win back those customers and engage them in a way you can’t today. A customer visits your website but doesn’t put their email into a popup box or sign into their account. Send them your welcome email to build brand awareness and greater repeat visitors. Include a one-click opt-in for marketing for more email acquisition. A customer is shopping in your catalog as a guest (no sign-in required) and leaves the site without adding a product to shopping cart. Send them the products or content they were looking at directly to their inbox. This typically doubles the performance you’re getting from dynamic retargeting ads. A customer is shopping on a website as a guest and leaves the cart without checking out. With our email retargeting, the marketer can send a personalized and timely communication to the consumer in a more direct medium, redirecting the consumer back to the site to complete the purchase. 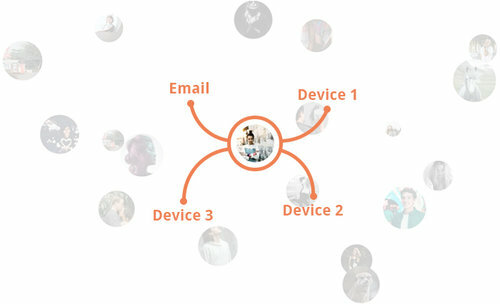 We sync to your CRM to find users you already have. Every email collected via current acquisition methods is excluded in real time. Client is required to include physical mailing address, advertising disclaimer, and our unsubscribe mechanism and privacy center, ShopperVault. Conversions tracked via AddShoppers analytics and UTM codes. With this process, we will protect each web visitor by enabling only one anonymous triggered email per 7 days. Set up for the first 3 campaigns can be completed within one week. Note: in order to preserve the quality of the co-op, accounts that exceed .25% spam complaint rate will be automatically disabled and moved into probation. Schedule a demo today to learn more about this innovative new revenue-driving channel! Older PostHow long should you wait to send triggered abandonment emails?